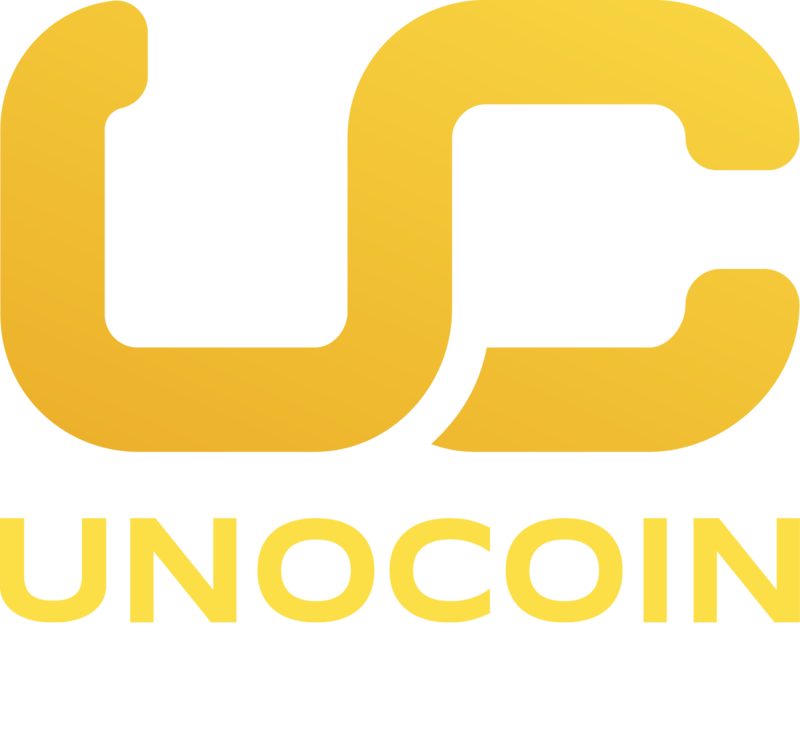 At Unocoin, we are in a constant endeavour to improve the existing features on our platform and provide new superior services. Our engineering team has put in a lot of effort to redesign the experience of the services from scratch are excited to bring to you the revamped web & mobile applications tonight. We want to give a smooth transition experience to the users and have planned for a scheduled system maintenance beginning 27th April 2018 at 11 P.M. in the light of the same. The duration of maintenance is expected to be around 12 Hours. All the functionalities provided by Unocoin, which includes: website (https://www.unocoin.com), iOS & Android mobile applications, Merchant Gateway services and Partner Services will not be functional during this time. Once the maintenance activity is completed, all our services will be resumed to normal and users will be able to access all the features & services without any issues. Any pending orders placed on the order book exchange will remain unchanged during the transition period. The Merchant Gateway and Recharge/Top-up services will be resumed within a weeks time. For any query on further issues, please feel free to reach the 24-Hour Helpline at 1800-103-2646. Looking forward to your continuous support during the maintenance session!! 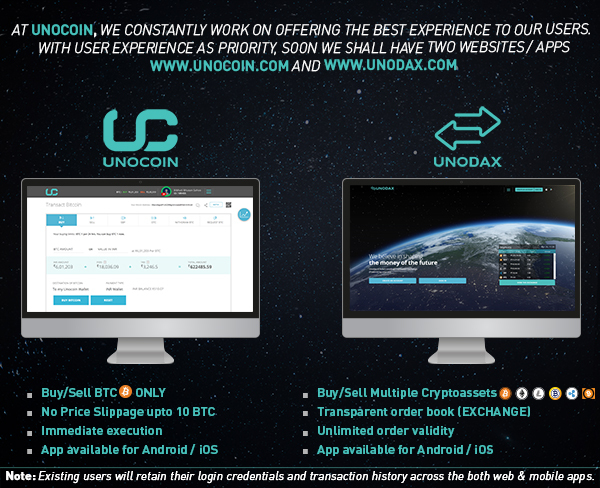 This migration to two different platforms is being performed without any hiccups to the existing Unocoin users. With both domains and services running on the same Unocoin backend servers, users will retain their login credentials and transaction history across the sites post the up-gradation. For a user, nothing changes — except for the fact that you now get distinct websites that aim for better speed and performance.